It seems that many members of the Seventh Day Baptist Missionary Society had forgotten to renew their membership in 2012. We apologize if you have already sent in your renewal for 2013. However, if you have not renewed your membership, look for the application form in our recent mailing along with our brief annual letter sharing some highlights of this year and hopes for our future together. 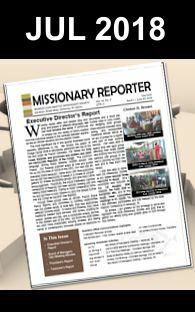 Membership is important to keep you informed about the activities of the Missionary Society and it gives SDBs an opportunity to vote for our Managers and through that the direction we take as an organization. Most will receive our Annual Mailer soon, or renew online at the Home Page. Thanks for being part of the Team!